Cover your steaks in olive oil, and salt them. Set them aside for 30 minutes. Take the butter, chives; horse radish, blue cheese, lemon juice, salt, and whisk them together. Set that aside. Saute the mushrooms and onions until lightly browned, place those in a bowl, and in the same pan, fry your steaks on both sides to your preferred doneness. Remove them from the heat, set a tablespoon of your flavored butter on them, and let them sit for 10 minutes. Top your lettuce with the eggs, blue cheese, almonds, and pepper. 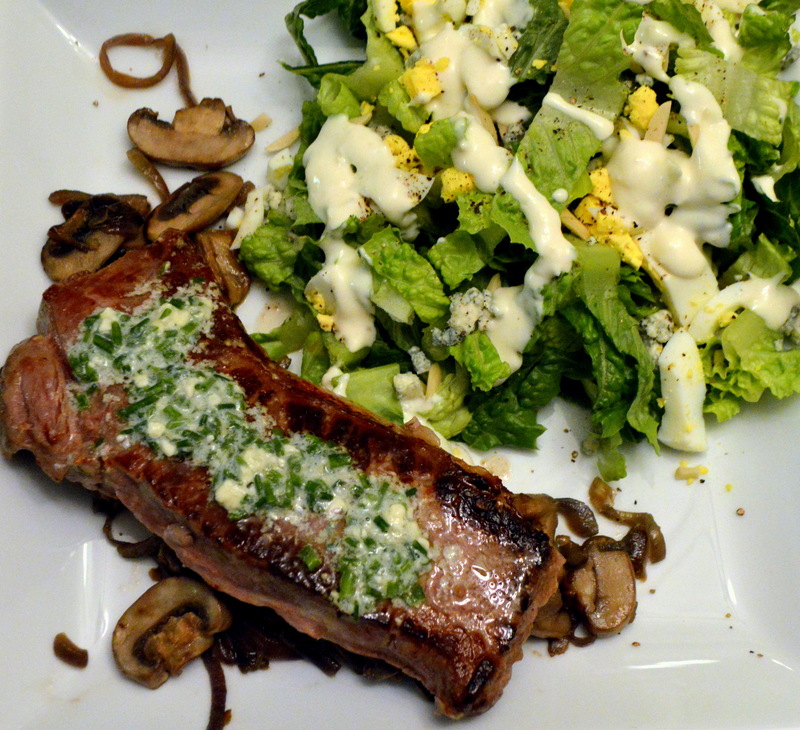 Spread a little blue cheese dressing over the top, and TADA! Salad! But you didn’t need me to tell you that right? 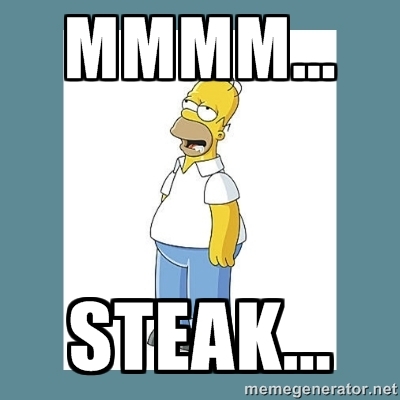 Serve those steaks atop your mushrooms and onions and have a very enjoyable steak Sunday!